Our SPRA-RITE™ application solutions rely upon pressurized lubricant encapsulated within the manifold assembly until the injection cycle is initiated. Each manifold has a means of generating the required lubricant pressure. SPRA-RITE™ injector manifold assemblies include the manifold, pressure regulator, injectors, and injector coils. 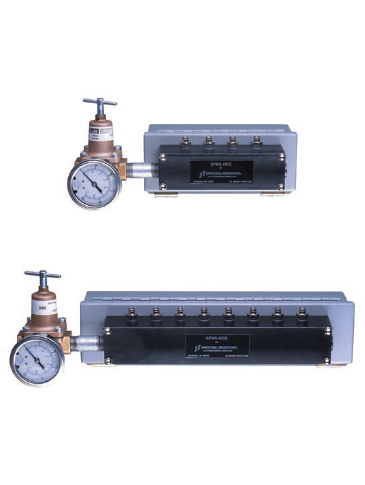 For customers who only require an injector manifold assembly for use with an existing SPRA-RITE™ processor, we offer a manifold package that includes the injector, the manifold / enclosure interface, pressure regulator and pressure gauge.